Have you ever been reluctant to take a check? Do you ever wince when you tally up your daily receipts, wondering if any of the checks you’re processing will wind up in costly and tedious collections? Eliminate the hassle involved with electronic check processing once and for all. With electronic check processing, you can turn check acceptance into an ACH transfer right at the point of sale. You can accept checks safely, knowing that your customer has the money in the bank, and neither of you will have to deal with NSF fees or the expense of the check collection process. Since 2004, Veritrans has worked closely with TeleCheck so that you can have the best in electronic check processing. Veritrans offers the best in electronic payments solutions with 100% customer satisfaction. Our range of electronic solutions will allow your customers to shop in safety, and you will be protected from customer fraud. Our long-term experience means that we can offer you the most affordable package in the business. Ready to discover how electronic check processing can work for your business? 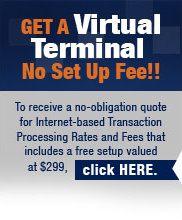 Veritrans makes it fast and easy to get your merchant account setup. We have no application fees, setup fees or cancellation fees.